Are you wondering how to connect with your child with autism? As the owner of a learning center for children with autism in Paris, I have the joy of coaching families to better connect with their children each and every day. Increased connection with your child will lead to more communication, better eye contact and more learning opportunities daily. It will decrease difficult behaviors and frustration, both yours and your child’s, and help make the whole family happier at home. How to connect with your child with autism? These 6 tips will help. Take advantage of your child’s unique interests to increase your interaction with him or her. If your child’s is loving trains at the moment, take out 2 or 3 trains to encourage play. If blowing bubbles is the preferred activity this week, blow bubbles. If your child seeks sensory stimulation, why not engage him or her in some adapted yoga for special needs learners? 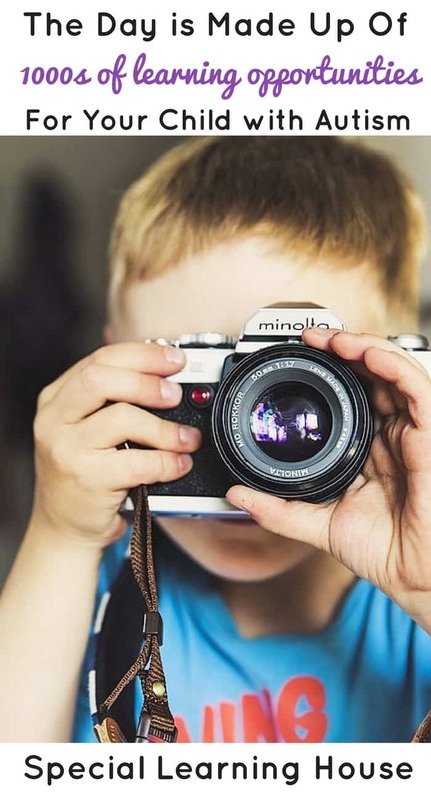 What’s important is to capture your child’s attention and create a connection. Once your connection is in place, you will have the chance to work on all kinds of skills. 2. Teach your child to communicate in a functional way. 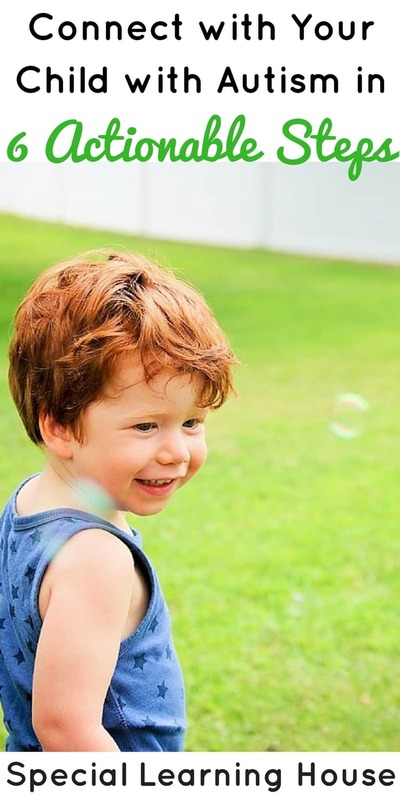 How can you connect with your child with autism? By putting in place an effective communication system. What is functional communication and why does it matter? Functional communication is communicating with a goal in mind, such as to share information “mom, I ate lunch with Lucy today!”, to ask a question “where is my jacket?” to give a suggestion ” let’s go to the park!” or to request something “may I have a glass of juice?”. Many children with autism do not communicate in a functional way. They may be saying words, but often these words are very repetitive or don’t have meaning in the context of the current situation. Some children with autism are non-verbal and barely speaking at all. One of the most effective ways to build functional communication with ASD learners is by teaching adapted sign language. I created a free signing poster for you that will teach you the first 9 signs to use with your child (click on the button below to download). Sometimes when you’re interacting with your child you wish he or she would change their behavior. Maybe your little one is using repetitive language or threw a toy. Rather than reacting to those behaviors which could change your interaction from fun and upbeat to reprimanding and grumpy, try ignoring the behavior and pushing forward with your goal to interact. Often, if a behavior is maintained by attention, saying “no!” may actually reinforce it; meaning that it is more likely to occur again! 4. Break down each activity you do with your child into several easy and manageable steps. Nothing stops a successful interaction with your child more quickly than overwhelm. So how to connect with your child with autism then? If the activity you are proposing is too difficult for your little one, it may provoke refusal or other difficult behaviors. Instead, make sure that you are proposing steps of an activity that are easy to do so that you can give your child lots of positive attention for a job well done rather than having to correct behaviors. 5. Create a dedicated space for play and set aside time for it. Playing with your child will be so much easier if you have created a dedicated learning space in your home. I call this space a “progress nook”. This space should encourage interaction, communication, fun and learning. Your child will know that whenever he or she comes into this space, a fun activity is about to take place. The desire to participate in an activity will get linked to the space itself and will help you to connect to your child. Decide how much time you can spend playing and interacting with your child in his or her progress nook each week, make it a priority and stick to it. 6. Involve your child in your daily living activities as much as possible. Encourage your little one to share everyday activities with you. These can be cooking, gardening, grocery shopping, walking the dog, throwing out the trash and cleaning together. 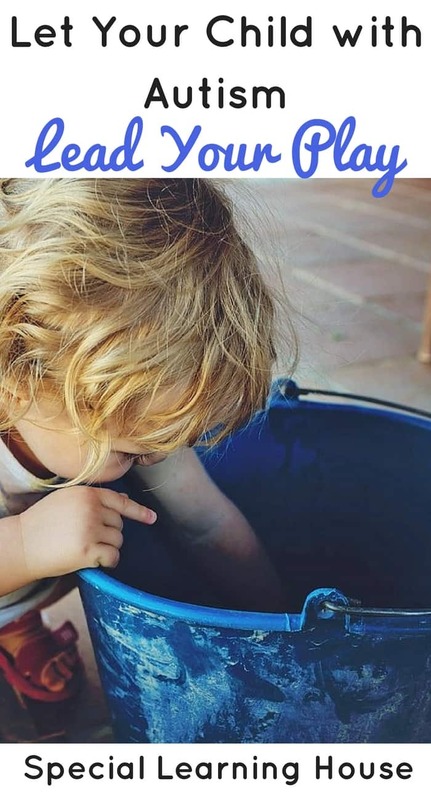 The more your child participates in everyday activities with you, the more opportunities for interaction, connection and learning you will have during the day. How to connect with your child with autism? Choose one of these 6 ways to get started immediately! Alix Strickland Frénoy is an autism expert and owner of Le Chemin ABA VB Learning House in Paris. She created the Special Learning House blog to inspire special needs parents to create learning opportunities at home. You are your child’s best therapist! The blog is home to 200+ posts featuring sensory activities, free printables and many more learning resources. Sign up to receive your free adapted signing poster and bi-weekly newsletters. It is a bit hard to handle Autism personality. Yes, it is necessary to be positive all the time. Saying “no” may affect their mind.